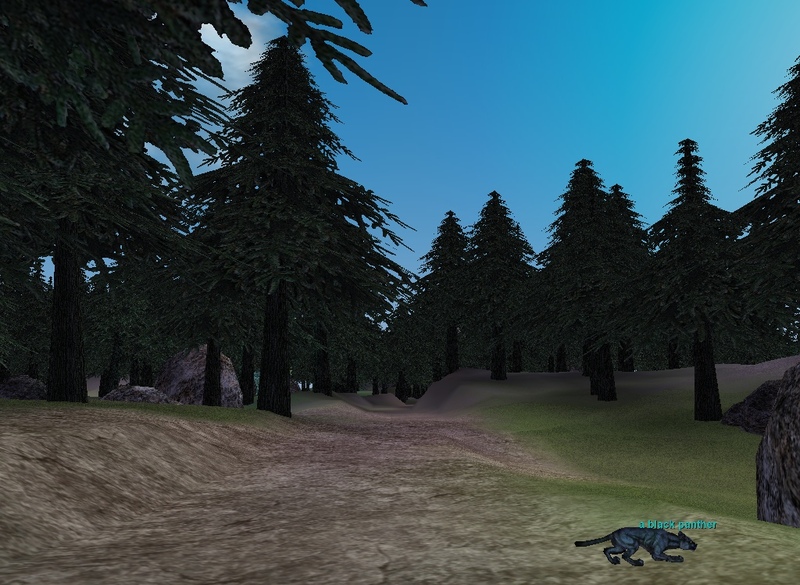 The Jaggedpine Forest made its debut on July 24, 2002.
most of which are very aggressive and sometimes difficult to see in the thicker regions of the forest. This zone is not available on TLP servers during the Classic era. Should be available when Luclin opens. While working on the Hunter achievement in Jaggedpine, I noticed that there are three named mobs that aren't on the list of npc's for the zone. They are Potamide Dame, Potamide Matriarch, and Potamide Matron. I killed "a potamide matriarch" (no capitals) and it doesn't count towards the achievement. So they must be unknown mobs. I do not know the procedure for adding new mobs to this database so I figured I would mention them here. There were actually 3 different "rare" matriarchs but with identical names. In the June 2017 update they disambiguated those 3 rares to Potameid Matriarch + Potameid Matron + Potameid Dame. In a later update they fixed the spelling of all "potameid" mobs to be "potamide." Thanks. Added the named. Most likely the lower case named mobs are the PH's for the named. I know a lot of people are returning to EQ and as I search for guides about current day EQ there just aren't that many out there. So this post is to help new/returning players level from 28-45 or so very quickly. As a precursor to this zone I usually just level up in the cat/bear caves in Crescent Reach until the bears are all dark blue, which is usually around 18 or so. This goes fast and can be done in one evening easy. As you level up do not forget to hit the bazaar for level appropriate defiant gear. Even without the best gear, your tank merc can solo these levels for you. From there I love Sol A, and there is a good xp bonus there. Clearing your way to the back will get you 4 levels or so and with a little more time in there you will be 27 and ready for JP Forest. In Sol A your merc can tank 3 at a time easy, so really the main thing to learn here is crowd control for your class. Learn how to make sure the adds attach to the merc and leave you alone while you dps. Once you have this down you are ready to level to 70 with your merc doing most of the work. Past 70 you have to start playing the game the way it was intended (for the most part). OK, so at 27 get your spells, gear upgrades, etc. and head to Blackburrow. Find your way down to the red gem stanchion that zones you into JP. You zone into the caves where there is a bank that any class can use as long as you dont kill the white gnolls in that area. The other half of the caves are full of basilisks. It is easy peasy single pulls, even the very red ones, as long as you dont kite a bask genitor over another one. The respawn is fast, I could never keep the caves cleared and I leave when they are mostly dark blue with maybe a few even cons - around 33-34 or so. The genitors are the only ones that agro, they casts the stun but it rarely sticks on your merc, and they drop eggs that sell for 75p each in the baz. I usually get 3-4 stacks of eggs and make an easy 7k in there. 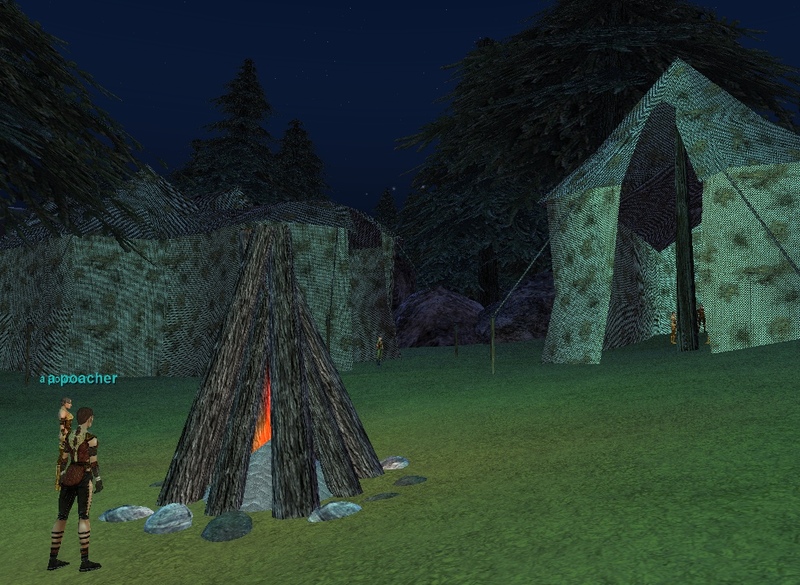 By 34 you need to be out at the bandit camp (with new spells you stored in the bank which you can access in the caves). Set up camp between the tents and the water. There are no roamers/beasts/potamieds in that large area. As a sidenote, be sure to camp out every other level so your merc level is refreshed and he keeps up with you. You will get adds when pulling the bandits from the 2 closest tents but your merc can tank 3 of these guys at a time no problem. I usually pull the campfire too when I see a named over there. Named can pop in the tents too and the rare drop here is a no-drop bard/rog illusion mask. By 40-41 its time to move on to the north end of the zone. There are caves in the north wall of the zone with gnolls. I typically dont mess with the named in the big room as there are a lot of mobs in that room. I stick to the left and move up to the last room in the NW of the caves and then move back towards the front. The spawn rate is quick, the xp is great and you will be 45 in no time at all. As a hot zone all of the mobs here are great xp. And the faction hits are positive if you use this guide... killing beasts is frowned upon by the locals. This whole guide is solo... and can be done with any class. I have run this zone with a Rog, Necro, BST, Mage, and SK and did not struggle with any of them. Where to go at 46? Crazy good xp in Acrylia Caverns that can take you to 60 with really good loot too. Invis through the forest caves and zone into AC. Stay up front at first and as you level move down to the lower level you have to click through another stanchion to get to. It slows down at 58, but not so bad that you cant just stay there. I took the rogue to 62 here and collected 500 AA in the meantime. I typed all of this from memory so if I am off a level or so just relax and dont slam me for it. This is purely meant to be as helpful as possible. Have fun, I know after 10 years of playing this is still my favorite path to 60, hands down. Great post. Be aware the "Crazy XP in Acrylia" was nerfed back to Luclin default for the zone about 2 days ago. Just arrived here, level 39 necromancer. Hunting gnolls. I had to run around the entire zone once just to find it; theyre a bit hidden with a very small entrance, right nearby the zone-in. Xp it good as it's a HOT zone. Just fingers crossed for some named beasts! Jaggedpine activates along with the Luclin expansion. I think the zone in to this from Surefall Glade might be busted. i come right up into it and click, and no zone. any idea why? The gems were fixed with the 3/9 update. I may just be very stupid, but the 1st time I spent AGES trying to find a way into Nedaria's Landing from Jaggedpine Forest... I got so frustrated. So I thought a bit of info on it here might be a good idea for any future adventurers who get lost like I did. 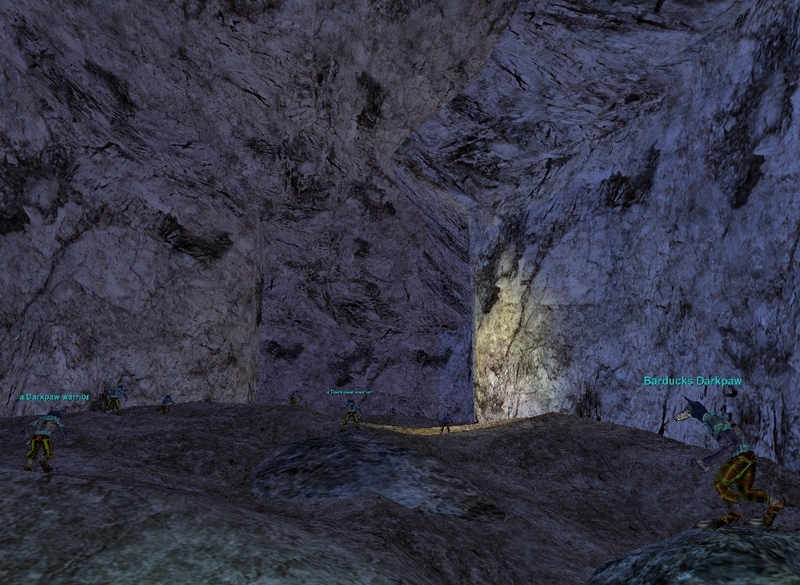 There is a gnoll cave on the western wall of the zone. Go in and get to the fortress where all the gnolls are, then go around it till you find the waterfall right at the back of the fort. Dive into the water and swim straight ahead through the water fall and there's the zone to Nedaria's Landing. What a place to put the zone line. Extremely helpful information. PugPenquin, you saved me from hours of frustrations trying to find the Nedaria's Landing zone in. Thanks again my friend. Also thnx for the info PugPenguin. Now is the Jagged Pine/Surefall zone from inside the bear caves broken for anyone else? I have tried walking, jumping, clicking, hailing, farting, screaming, bug reporting & still cannot get through to Jagged from surefall caves. I have only just returned to EQ after 5 year absence so let me know if something has changed please. PS. Yes, I do have all the expansions. Thank you SOOO much. This saved me a lot of trouble. It was very nice of you to inform us on how to get to nadaria's landing since the maps don't show us ****. what is good to kill at level 33ish?? 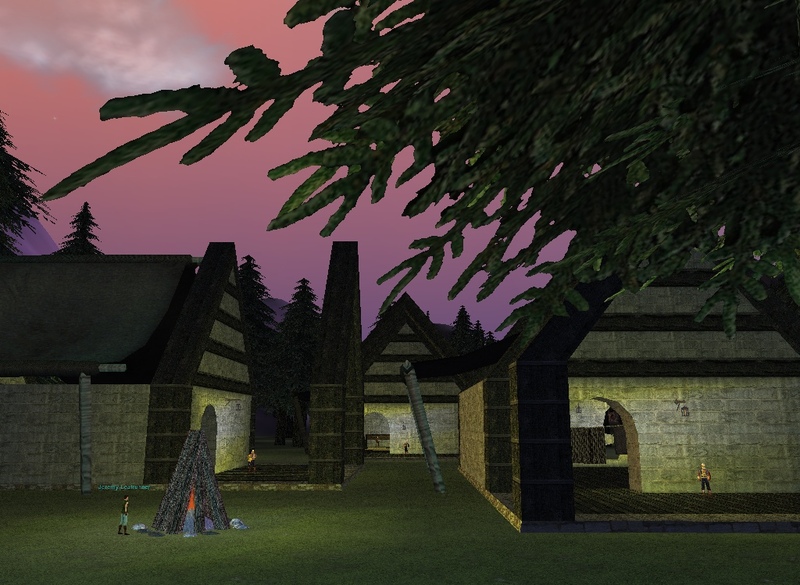 If you are a DE you have limited access to banks and merchants in most of Norrath unless you work on Faction. I was VERY glad to discover that, with my DE 13th level Necro I could bank with the Brell gnolls in Jaggedpine! I had been hunting in Blackburrow and used the crystal to avoid dying from a pull (during which somehow one of the Splitpaw escapees showed up) and decided to check the con for the Brell gnolls. They didn't want to kill me so I went to check out the bank, and found I could sell to the vendor there and use the Bank! Since they will meet my needs I won't hunt these gnolls, and now I can add JP and Nedaria's and Everfrost Peaks to my hunting zones since JP is very easy to reach from them. I am definately enjoying the change from the usual EC /WC/ Lavastorm / Paludal/ Oasis hunting spots. Has anyone else noticed that all of the prey that has no faction hits (Griffons, Griffawns, Wisps, etc.) have gone missing from the zone? Overrun by wolves...but faction hits there. Hello, im a 40 woodelf ranger looking to solo (bow or fear kite) and i have been told of rangers leveling up in the 40's and 50's here. Is it possible for a 40 ranger to solo here or should i wait til like 45? If i am able to what mobs should i be killin? I can easily just walk into this zone and check track for all dark blue + cons but im unsure of which ones frenzy, undercon, ruin faction or whatever. Any help would be greatly appreciated. I am twinked and considering purchasing a few HP regen items (Frost-covered cape, iksar regen BP, belt of the great turtle etc.) to help out a bit. Thanks, any help would be greatly appreciated! You may be able to solo at 40...I'm 44 and soloing Timber Griffawns and Timber Griffons...snare, fear, DoT, Burning Arrow, fear, fear, fear, snare, fear...you know the drill...keep Root to crowd-control in case nosey Griffons/Griffawns show up...just root and snare adds..(snare them, too, so they don't run too fast after you when the root fails....but pretty easy...only hunt Grif's and Anacondas...but don't do Anaconda's till much later...they are TUFF. Edit: Also-the only things in zone that WILL agro are the darkpaw gnolls, the poachers, and the potameids. The Brell gnolls should be okay with you. They all stay pretty much in their own areas of the zone. Use your map, keep track of where you are and you should be fine. I camped these Gnolls for like 5 levels and now have reached rock bottom faction. Any other Druids know if this faction is necessary in our lives and if so, a way to gain faction with these guys? I am currently pursuing rumours that necromancers and shadowknights can get interesting quests from the gnoll oracles. If this proves fruitful, I will submit the quests which will inevitably require the slaughter of qeynos guards and jaggedpine treefolk. 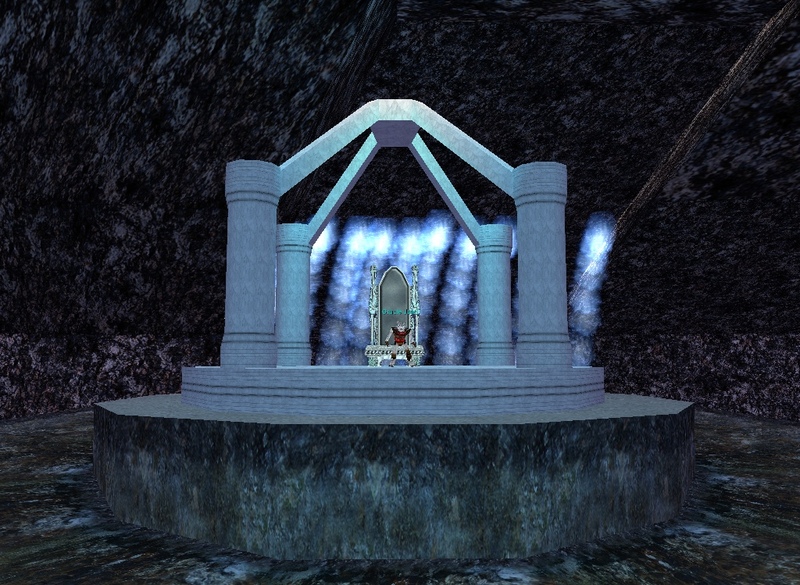 Since I do this for free for any enchanter who wishes to enter the temple of Cazic Thule for the first part of their epic, I will figure out how to twist jaggedpine forest to my own nefarious ends. I haven't seen any benefit to having good faction with the Jaggedpine gnolls (Darkpaw of Jaggedpine faction), unless Snarla the Fang is on this faction and you want to do the "Snarla's Friendship" quest. Snarla is on "Anchorites of Brell Serilis" faction so I'm not sure if bad Darkpaw faction would affect this. As far as I'm concerned, with the exception of Furball Miller, all gnolls are to be killed on sight!! P.S. I made an alt druid - Uinian lvl 29 wood elf! There is a gnoll in Splitpaw you talk to for the Paladin Weapon quest isn't there? Anyone know how to get the mob Fiercewind to spawn? I first came here to get the Queynos Badge of Nobility. Our Guild killed Barraducks and unfortunately we were unable to save the village from the resultant massacre. the down time is minimal. If you do overpul it is a shhort run to the TP out. have never got an add or had any trouble sitting and medding on the stone overlooking the cave ent. The loot is quite reasonable and thereis the odd unusual drop that keeps things interesting. The AA is OK and if you havent time to get a group this is a fun little camp. The defiler and Cleric Gnolls let you practice stun and bashing caster routines. The place is quiet and often I am the only one there. So, if you cant find a group and fancy a little soloing this is a good spot imho. [Black]Has anyone made up a complete easy to xreference shopping list for these quests? If so can someone be so kind as to link it =) TYVM in advance. I came here to kill critters and spread a little darkness into the land. The forest here is very intensive. It reminds me of Dawnshroud, minus the sambata humpbacks. I found some gnolls nice enough to say something other than "Don't-you-Dark-Elves have your own ..."
One, an Oracle, said he wants necklaces. I'll give him his beads, then strangle him. Muhahaha. Surprisingly, the dryads here are indifferent--for now. There are Griffs here that have no faction hits. Being as they are animals fear kiting is easy. I can do 5 to 6 of 'em at 43rd level in a row -- no med brakes, etc... XP is OK at 1% to 3% per drop. Simply pull them near the town, snare, shoot a couple times, fear then chop 'em out of the skies. Several of an item called Dew of the Hatchling. It is Magic and No Drop. Anyone know a use for it? Taloliok Aergorn,Half-elven Ranger. Member of DCoE, former officer of Divine Awakening. It's used in a quest, unfortunately a fairly lame one. Can you say which one? It's not in the Allakhazam list of quest items. Could a 32 ranger hunt here my equip is in my magelo prof in sig im an expert at fear kiting and my archery is way up so i can bow kite plz advice anyone? Has anyone seen them drop in JPF, how frequently, off of what mob? (65 Paladin) Going to finish the Tempest Guard helm as soon as I get the faction to turnin pieces. Pulling a 65 bard over to kite the stuff around, I'll heal him once around 40% (obviously earlier if he needs it, just 40% shouldnt tag aggro) get the faction hit and should be done in 2-3 full cave rapes. Wont be as hard as giant faction obviously. Only problem would possibly the MOBs losing chase and returning, but aside from that it should be cake. None of these mobs are even high enough to use gate tactics yet, so dont have to worry about summoners. How do I get into JP? I am a level 18 Ranger and would like to visit JP in order to get some cheese (and look around). I have tried 'clicking' on the 'bags' in the room at the end of the tunnel beyond the bridge behind the 'false' wall. What am I doing wrong? Is it 'level caped' like the planes of power are (must be level 46 to enter any plane other than the plane of knowledge). RE: How do I get into JP? In order to get to Jaggedpine from Surefall, first move into the caves behind the waterfall (which spills into the pond surrounding the houses on stilts in the water in Surefall). Then, to get to the portal, just keep heading "up" - you will see some stairs immediately as you enter the waterfall cave - take them and head up - when you come to another split in the route - follow the steep incline and head up. You may come to what at first looks like a dead end with a brown bear in it - but look to the right and you will see the route continues to a room with a crystal on a pedestal. 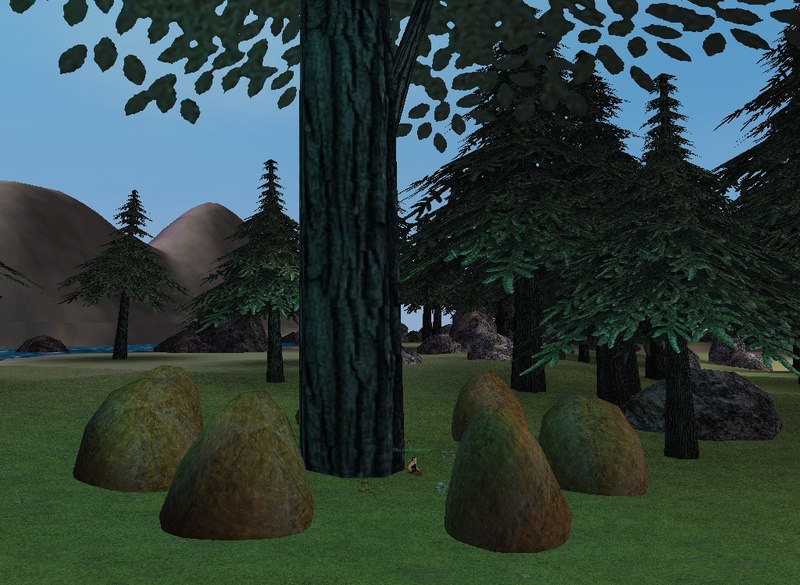 Click the pedestal and you will be in Jaggedpine. To get out of Jaggedpine, click the same sort of crystal which is where you zone in to and it will take you back to Surefall. Don't forget the Blackburrow route. Go down into BB by following the right wall from zone, down you go, take the first right and you're on a bridge, hop off to the left and head towards the clump of gnolls and barrels. If you are still wondering about Jaggedpine. After you launch EQ, you will want to turn off Autoplay. Click on the advanced Button in the patcher. Then make sure you have Optional Zones checked. You may need to perform a full file check. Alright when the patcher screen pops up (the one that scans your computer and updates EQ to the latest software) do not let it start EQ (make shure autoplay is not check marked). 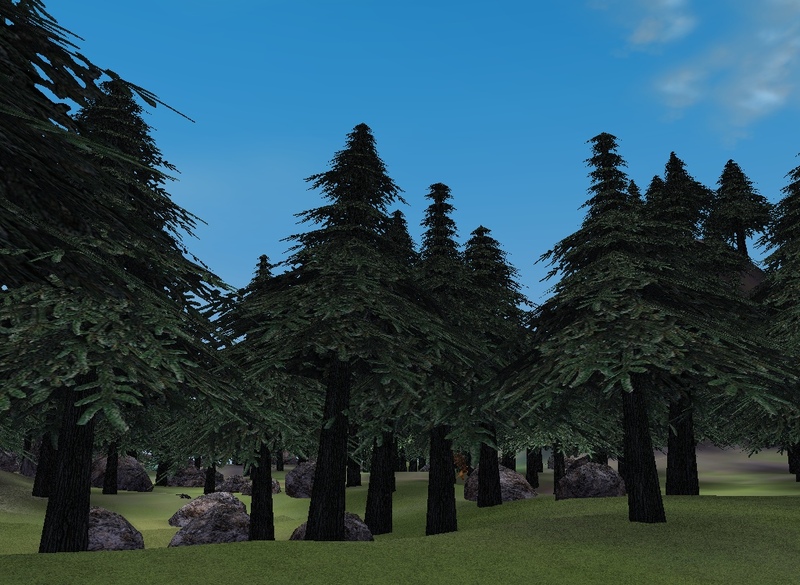 Instead click on the advanced button and then check mark the Optional Zones that should replace them with a Sphere on a pedistal instead of bags and all you have to do is click on it and your zoning onto Jagged Pines. I was just wondering if anyone has a good use for Jaggedpine Sap. I have foraged several of these, but cannot find any recipes that call for them. I originally thought they might be used in brewing, but have been unsuccessful in discovering a recipe. Showing 25 out of 215. Click here for the full list.